In my previous post, we established that staging your home is critical. That means we're all on the same page when it comes to getting the most amount of money for your biggest asset. And that's a good thing! And yet, maybe you still feel conflicted. Like you don't want to invest in a professional, or that it will take too much time. But trust me, staging your home is for your benefit. Leaving as much as 18% equity on the table is just NOT an option. I won't let you do that to yourself! 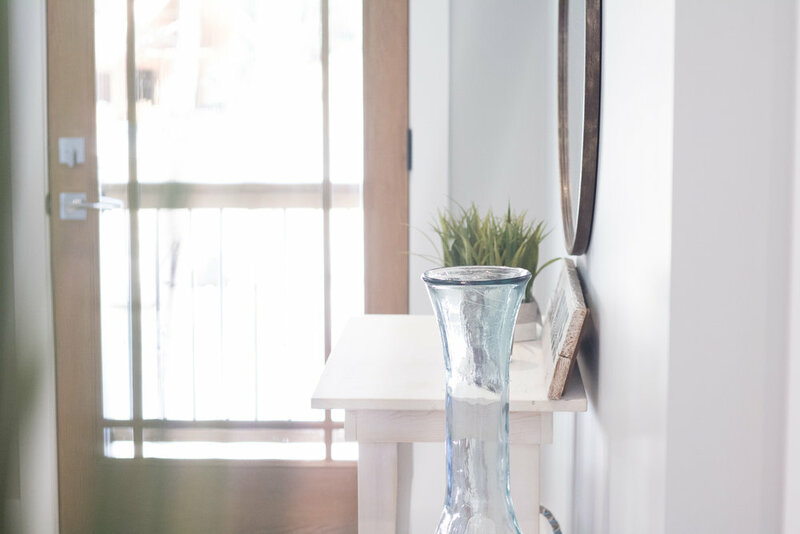 In order to make this process as easy as possible for you, I've put together some of my best staging tips from years of real estate experience. Welcome potential buyers like you would welcome your guests. It might sound like a lot of effort, but putting your best foot forward really does come down to setting the right scene for your potential buyers. And that means, they should feel welcome in your home. In general, we react better to our environment when we perceive it as being warm and welcoming. When we're looking for our next home, we're hyper-sensitive to how our environment feels. Remember that your potential buyers are asking different questions than you are. They want to be able to picture themselves living in your home. And so it becomes about wiping the slate clean, and allowing potential buyers to narrate their story instead of yours. Remove most of your personal belongings; replace them with neutral decor items. Candles and mirrors, or fresh cut flowers make great stand-ins for your family photos. Place a unique entrance mat at the front door. And if you really want to wow your guests, bake cookies shortly before your open house so the kitchen is filled with an enticing fragrance. Either way, your goal should be to create a welcoming atmosphere for your potential buyers. Now that we've set the scene, it's important to consider the details. In some cases, the best thing you can do is paint - and trust me when I say paint can make all the difference (more on that later) - but in this market, there isn't always time to do it yourself. When in doubt, remove items from your space rather than adding more and clear the air. A nearly empty room is always better than a cluttered one. Instead, focus on creating little vignettes - more commonly known as furniture groupings. Head to a stylish furniture store and check out their window displays. Or better yet, take a few minutes - or hours - to scroll through our interior design boards on Pinterest. We've got lots of inspiration here. Focus your energy on styling certain aspects of your home, instead of trying to do the whole thing. A little effort goes a long way, and adding a few key details can really spice things up. Consider switching out a few light fixtures. You can also change -update- your door handles, or add a few throw rugs to the mix. Throw pillows are inexpensive options and can update and change the overall feeling of any sofa. Either way, the details can significantly change the aura of any space. If all else fails - and whether you're going the route of DIY or hiring a professional staging team - a new coat of paint can change your entire home-selling game. Make your home look larger and more spacious by painting every room the same neutral shade, or transform certain areas creatively so they stand out. If you're uncertain about which direction to go in - a neutral palette will always help your home appeal to a larger audience. Paint can make an old home look and feel new. It can make the same decor look completely fresh. And it literally saves lives! But seriously. Paint can change everything. Even if you're not painting your entire house, touching up your existing paint will remove wear and tear and refresh your existing palette - which can make all the difference. All of these tips are easily doable over the course of a weekend. If you're painting your entire house, it might take a bit longer. My point is - you're investing time and energy into your biggest asset. And that's really important in today's market. By investing a little time and money, you're sure to reap the benefits. Some of my clients have made thousands of dollars as a result of putting just a little additional effort into getting their home ready for the selling process. It all comes down to making your home as marketable as possible. And I promise, you won't regret it.